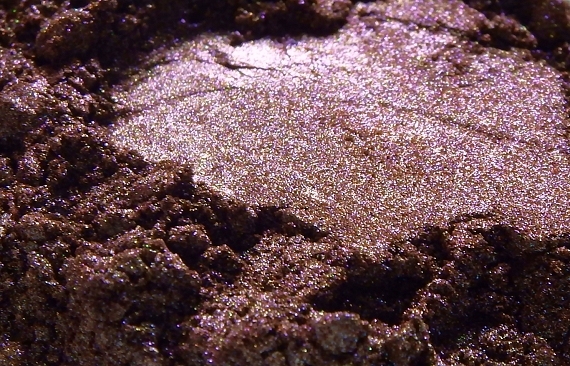 Dark, shimmery brown with green shimmer and a touch of gold. Closer to light it becomes a pink-beige shade. Originally intended to be a remake of our old shade Greenman's Forest, this is similar, though darker.